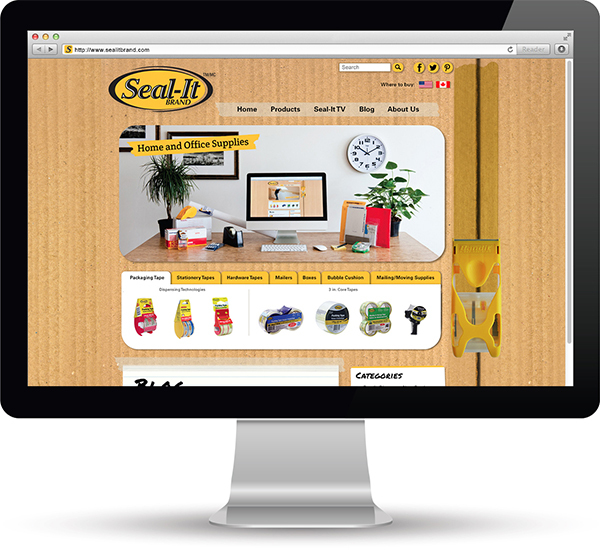 Seal-It, a key brand from tape and packaging manufacturer Conros, did not have the visibility it deserved on the current site. Both retail buyers and end-consumers were not able to learn more about the products, and they appeared overly similar to competitive offerings. 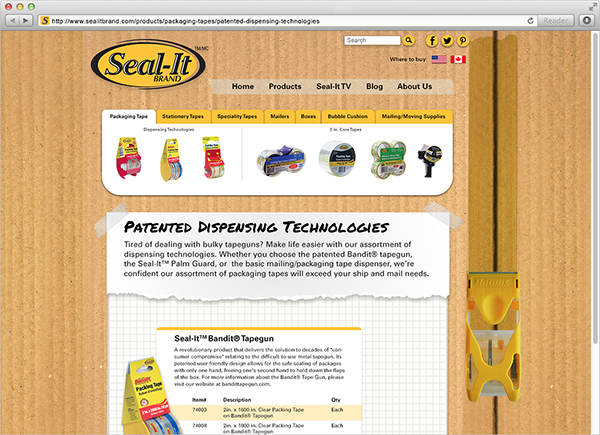 We rebranded their website with visually appealing images, product usage shots, blog, and a modern, interactive look-and-feel. 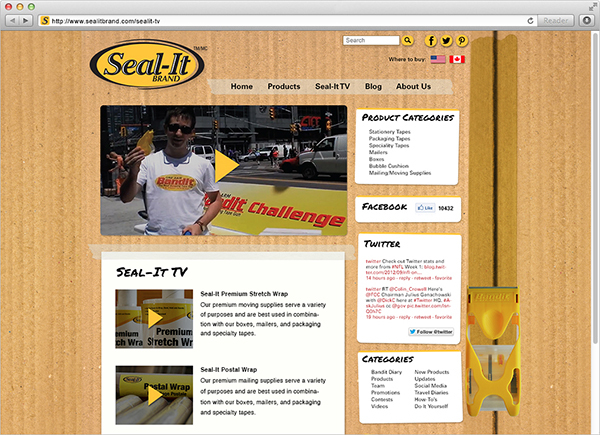 Buyers are not only able to see all product details within one or two clicks, the site reaches into Social Media, and engages are a far wider audience, generating product demand.